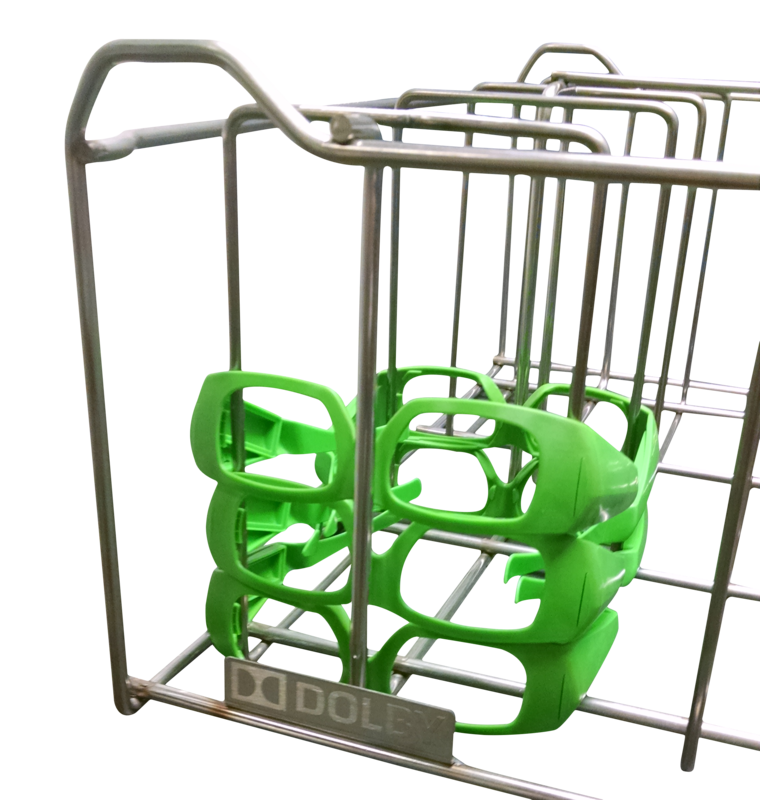 Get Dolby 3D glasses to moviegoers faster with fast drying air-flow racks. 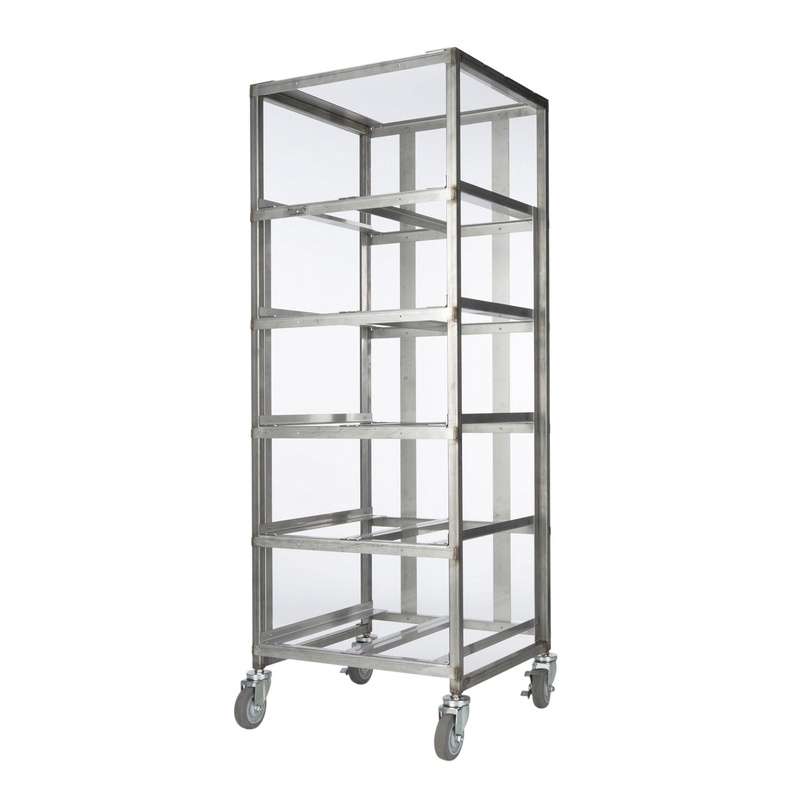 The Dolby 3D steel wire basket features a very robust design. Please provide freight carrier via email today with your order. Freight is additional, please email your freight carrier. If you have no freight carrier, we can arrange one for you. All purchases must be done by credit card (Visa, Master Card or American Express). If you order before 1pm on a business day AND THE UNIT IS IN STOCK, we will ship the same day. All prices are FOB Marlin Steel Wire Products in Baltimore, MD 21230, USA. Marlin Steel part #780004 holds all 4 styles of glasses. Marlin Steel part #780006 only holds CAT834 and Children. Initial Theater Feedback - We have received very positive feedback from early customers noting significant improvements in operational efficiency, lower operating costs and less space needed for Dolby 3D glasses storage. Universal Design - New design accommodates current and new glasses, mix and match, in any orientation. 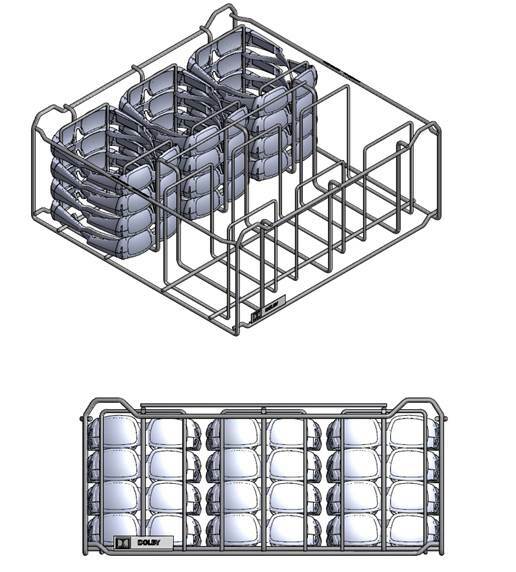 Fewer Baskets Needed - Reduces the number of baskets needed per Dolby 3D theater installation. Lowers initial investment Cost - Price of new tray is similar to current tray, but theaters need fewer of them. More Productive Loading/Unloading - Easier to load and unload the glasses, and improves theater logistics in moving glasses around. This design holds type CAT8461-DLB2, 8 pairs/column X 6 columns = 48 pairs. CAT832 glasses fit the best. CAT834 and Children are loose fitting. This design only holds CAT834 and Children. It will NOT hold CAT832.